Organized at Cassville and Springfield, Mo., June to August, 1862. Mustered in at Springfield, Mo., August 7, 1862. Attached to District of Southwest Missouri June to October, 1862. 1st Brigade, 3rd Division, Army of the Frontier, Dept. of Missouri, to December, 1862. Unattached Army of the Frontier, Dept. Missouri, to June, 1863. District Southwest Missouri, Dept. Missouri, to June, 1864. 3rd Brigade, Frontier Division, 7th Army corps, Dept. of Arkansas, to February, 1865. 2nd Brigade, 3rd Division, 7th Army corps, Dept. Arkansas, February, 1865. 1st Brigade, 3rd Division, 7th Army Corps, Dept. Arkansas, to August, 1865. SERVICE.--Regiment organizing at Cassville, Mo., until July 1, 1862. Moved to Springfield, Mo., July 1. Schofield's Campaign in Missouri and Arkansas August to December. 1st Battalion with Gen. Blunt and engaged near Newtonia September 15. 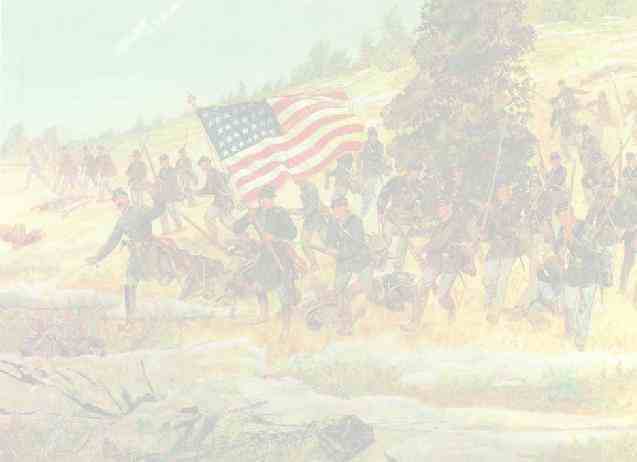 Skirmish at Cassville September 21. Near Newtonia October 13 (1st Battalion). 2nd Battalion joins Army of the Frontier October 3. 1st and 2nd Battalions lead advance of Army during October. Stationed at Elkhorn Tavern and Cassville October 20 as outpost for 2nd and 3rd Divisions, Army Frontier. Huntsville November 5. Yocum Creek, Mo., November 15 (3 Cos.). 3rd Battalion join November 11 to December 3. Moved to Join Gen. Blunt December 3-5. Illinois Creek December 7. Battle of Prairie Grove December 7. Middletown December 9. Expedition from Fayetteville to Huntsville, Ark., December 21-23. Duty at Fayetteville, Ark., to April 25, 1863. Defense of Springfield, Mo., January 8, 1863 (Detachment). Carrollton January 10. Expedition from Fayetteville to Van Buren January 23-27. Pope County January 25. Skirmishes at Vine Prairie, on White Oak River, and near mouth of Mulberry River, February 2-3. Skirmish, Pope County, February 5 (Detachment). Scout from Fayetteville to Arkansas River February 5-12. Threlkeld's Ferry February 6. Near Van Buren February 10. Arkadelphia February 15 (Detachment). White River March 6. Frog Bayou March 19. Washington and near White River March 22. Scouts from Fayetteville March 29-April 5. Cross Hollows March 30. Skirmishes in Carroll County, Mo., April 4 (Cos. "H" and "L"). White River April 9. Cabell's attack on Fayetteville April 18. Moved to Springfield, Mo., April 25-May 4. Elm Springs April 26. Duty at Springfield and Cassville until September, 1863. Skirmishes at Fayetteville June 4 and 15. Madison June 25. Near Cross Hollows July --. Cassville July 4. Near Elm Springs July 30. Pineville August 13. Washington August 30. Near Maysville September 5. Expedition from Springfield, Mo., into Arkansas and Indian Territory September 7-19. Near Enterprise September 15. Operations against Shelby's Raid into Arkansas and Missouri September 22-October 21. Reoccupation of Fayetteville September 22, and stationed there until February, 1865. Cassville, Mo., September 26, 1863. Demonstration on Fayetteville October 11-14. Cross Timbers October 15. Deer Creek October 16 (Detachment), Buffalo Mountain and Harrisonville October 24. Johnson County, Ark., October 26. Expedition to Frog Bayou, Ark., November 7-13. Near Huntsville November 9. Near Kingston November 10. Mt. Ida November 12. Scout from Fayetteville Dec. 16-31. Stroud's Store December 23. Buffalo River December 25. Searcy County December 31, Operations in Northwest Arkansas, Newton, Searcy, Izzard and Carroll Counties, against guerrillas January 16-February 15, 1864. Clear Creek and Tomahawk January 22. Bailey's Crooked Creek January 23. Rolling Prairie and near Burrowsville January 23. Crooked Creek February 5. White River February 7. Expedition against Freeman's Forces February 12-20. Black's Mills February 17. Carrollton March 13. Ben Brook's Mills March 27. Charlestown April 4. Skirmishes on Arkansas River and near Prairie Grove April 6-7. Rhea's Mills April 7. Washington May 28. Van Buren July 7. Operations in Central Arkansas August 9-15. Fayetteville August 14. Operations in Southwest Missouri and Northwest Arkansas August 15-24. Carrollton August 15. Richland Creek August 16. Expedition in Washington and Benton Counties August 2127. Mud Town August 24. Fayetteville August 27. Richland September 6. Scout from Fayetteville to Huntsville September 12-15. Rodger's Crossing of White River and Huntsville September 14. Huntsville September 18 (Detachment). Skirmishes, Barry County, October 8 and 18. Fayetteville October 14. Crawford County October 19. Benton County October 20. Fayetteville and Van Buren October 20. Operations about Fayetteville October 25-November 4. Skirmishes at Bentonville and Newbeon Bridge October 25. Van Buren October 26. Fayetteville October 27-28. Duty about Fayetteville and at Fort Smith until August, 1865. Skirmish near Van Buren April 2, 1865. Mustered out August 20, 1865.